It’s totally cookie time right? I love me some good, not too sweet sugar cookies, so I decided to make them this year with a kick and a twist. Ginger! It’s spicy and super common for cookies, but I have never had fresh ginger in a sugar cookie and I wanted it, so I made them! Sugar and buttery cookies are my favorite for holidays, like the tin sugar cookies we ate growing up, yes totally those. And I have ha my fair share of them for sure. When I thought of adding the ginger I knew exactly how I’d do it, Gourmet Garden already made into a paste fresh ginger. It’s perfect for these, and super easy to use. I love that you can smell, taste, and see the fresh ginger strands in the cookies, but when you do eat it, it’s subtle enough that everyone will love them. The other thing, for me, with holiday cookies, they are typically too sweet for my taste. I really wanted a frosted cookie though, but not the powdered sugar kind. I got to thinking and recipe testing and came up with the cream cheese frosting. It’s not typically, but it’s creamy, uses organic cane sugar instead of powdered sugar, and more sweetness from the clementine juice. And that same fruit juice goes super well with the spicy ginger, I love them! 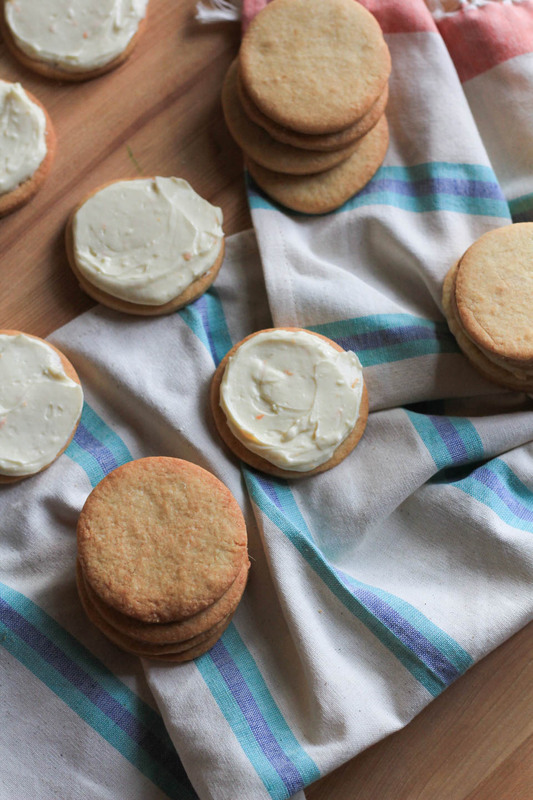 Basically a perfect combination that came out of avoiding the usual suspect sugar cookies that as an adult I want something different, and here it is! These are super easy and fun to bring together as an adult and with kids! The frosting is forgiving, tasty, and creamy. Super easy to work with. No need for special equipment, just a spoon or spatula, and kids can make them as pilled high as they want. Have fun! Place flour, baking powder, and salt in a medium bowl, whisk to combine. Place butter in bowl of stand mixture fitted with paddle attachment, mix on medium high for 5 minutes or until light and fluffy. Add sugar, mix on medium high for 3 minutes. Add egg, ginger, and juice, mix on medium about 1 minute, until combined. Add flour mixture, mix on low until combined well, about 1 minute. Remove bowl from mixer stand, using a large spatula and your hand, bring dough together into a ball. Cover with a clean kitchen towel or plastic wrap and refrigerate dough for 1 hour. Remove dough from fridge. Place oven rack in center of oven and preheat to 350 degrees. Roll out dough to about 1/4-1/2 inch thick. 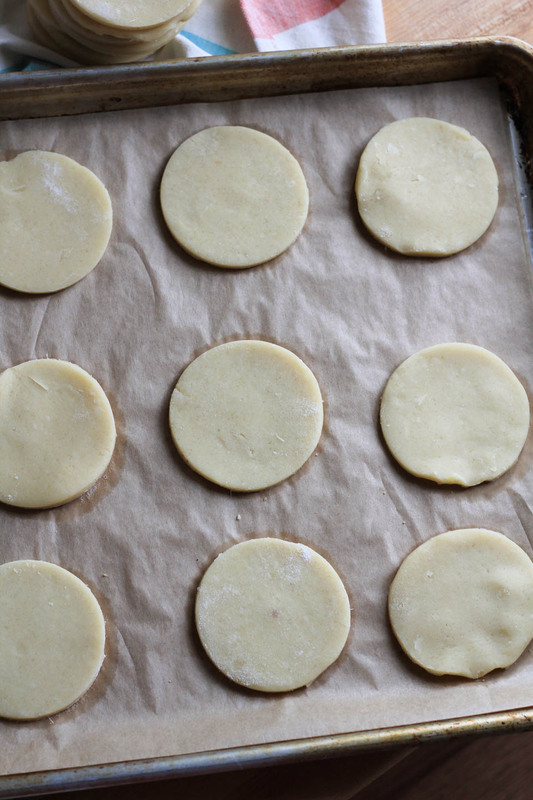 Using a 3 inch round cookie cutter, cut out cookies, and roll out scraps until all cookies are cut. Place on a parchment lined baking sheet. Place in oven and bake for 10-12 minutes, or until lightly golden brown. While cookies bake, work on frosting. Place cream cheese in bowl of stand mixer fitted with paddle attachment. Mix on high for 5-7 minutes, or until light and fluffy. Add sugar, zest, and juice, mix on high for 3 minutes. 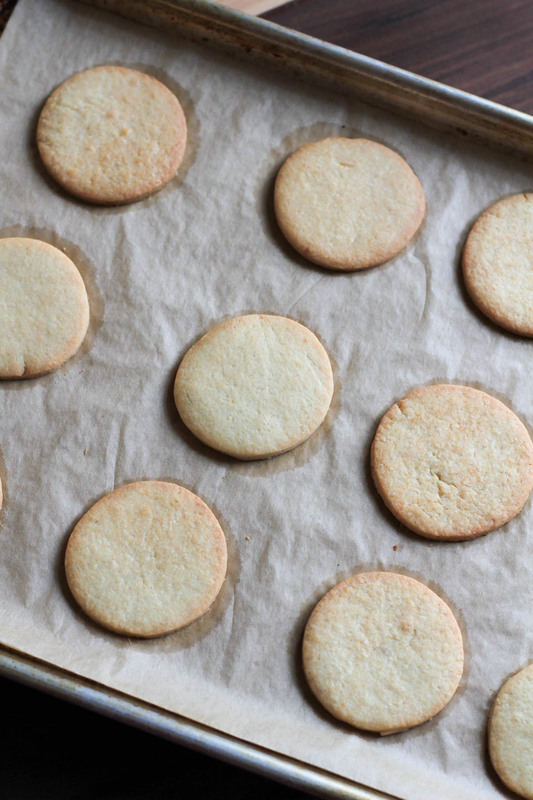 Remove cookies from oven and allow to cool on a wire rack for 1 hour. Once cooled, use a spoon to decorate the cookies! Store cookies in an airtight container for up to 1 week in fridge. Disclosure: This is a compensated post in collaboration with Gourmet Garden. As usual all opinions are my own. Thank you for supporting the brands that support NJB! These look absolutely fantastic!! 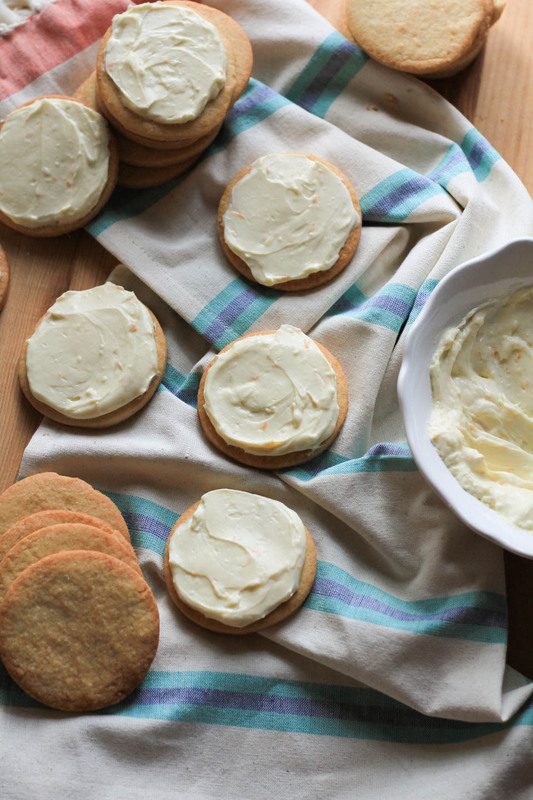 I’ve never made a frosting with clementines before, but oh my, I’m salivating thinking about how zingy it must be! Especially on top of one of these beautiful cookies! Thank you, it is subtly sweet and so good! These sound amazing!!! Great flavors here!